Charlie Hebdo: Are Paris-Style attacks the future of terrorism? Are Paris-Style Attacks the Future of Terrorism? 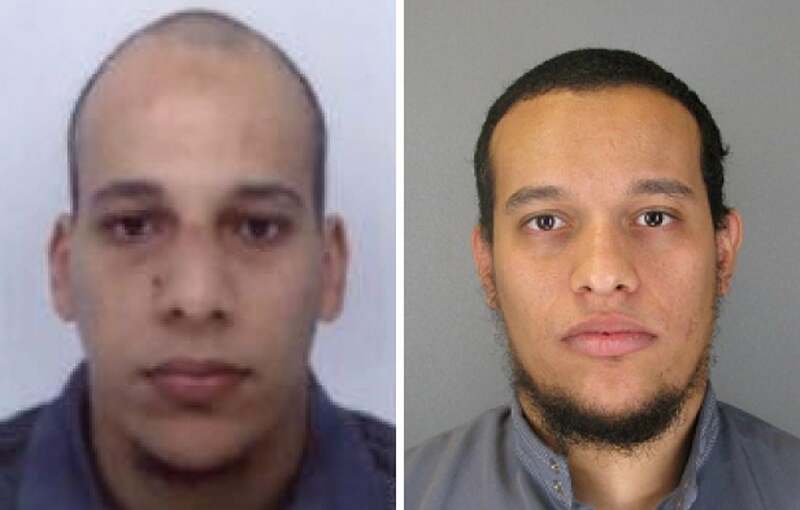 Cherif Kouachi, 32, and his brother Said Kouachi, 34. This week’s assault on Paris does not fit into the mold of what we typically think of as a terrorist attack. The attackers employed guns, rather than bombs, fled the scene of the initial attack rather than martyring themselves, and displayed some level of tactical acumen without it being clear that they were trained professionals. It’s not that commando-style raids have never happened. They just receive less attention than suicide bombings because they more often take place in war zones, where there’s less media coverage than in major international cities. A U.N. report released last July, in fact, found that the Taliban had shifted their tactics from improvised explosive devices to gun battles in heavily populated areas. This is one major reason for the recent increase in civilian casualties in Afghanistan. And this week hundreds are believed to have been killed in a series of shooting raids by Boko Haram on a town in northern Nigeria. The first example of such an attack on a city at peace was Mumbai in 2008, when about two dozen militants from the Pakistani group Lashkar-e-Taiba attacked multiple locations in the Indian city, firing on civilians, setting off explosives, and taking hostages. The attacks “were perceived as being hugely successful, and al-Qaida has been talking about how to emulate this for some time,” said Raffaello Pantucci, a terrorism analyst at the Royal United Services Institute in London. In 2010, intelligence services of the United States, Britain, France, and Germany claimed to have disrupted a plan to carry out “Mumbai-style” attacks on several European cities. Last year’s al-Shabab attack on the Westgate shopping mall in Nairobi also fit the mold, involving multiple shooters, hostages, large numbers of casualties, and unfolding over the course of several days. In the case of the Paris attacks, attention has focused on the possible role of Al-Qaida in the Arabian Peninsula, the networks’ Yemen-based affiliate. According to a Reuters report Friday, intelligence officials believe that one of the two brothers who carried out the shootings, Said Kouachi, met with the U.S.-born AQAP cleric Anwar al-Awlaki during a visit to Yemen in 2011 and may have spent time training with the group. Pantucci says that in terms of its international operations, AQAP “has mainly been focused on getting very complicated and sophisticated bombs onto planes.” But, he says, that doesn’t mean it’s surprising that the group would be involved in something like this. “These guys don’t have one methodology and that’s it. They’re flexible and out to make the maximum impact,” he says. The group’s English-language magazine, Inspire, has suggested a plethora of potential attack methods, and Awlaki had also been in touch with Fort Hood shooter Nidal Hasan. The appeal of this kind of attack is obvious. As Pantucci puts it, “The marauding-shooter scenario has maximum effect and only really requires people with guns.” Commando-style attackers need some training—the Indian government has long alleged that members of Pakistan’s intelligence services played a role in training and coordinating the Mumbai attackers—but not necessarily a whole lot. The Paris shooters clearly were well-equipped and weren’t complete amateurs, but also made some major tactical mistakes. Military experts interviewed by the Washington Post have said the Kouachis’ shooting stance betrayed a lack of professional training. Plus, they initially got Charlie Hebdo’s address wrong. Given the amount of damage the Paris attack caused and the international attention it has garnered, the natural question is whether we’ll see more attacks of this type in the future. The director of MI5 warned Thursday that Britain is at risk of what are now being called “Paris-style” attacks. (It’s worth noting intelligence agencies have a habit of hyping threats to justify their own activities and budgets.) As for the United States, al-Qaida has been suggesting for years that the country is “awash with easily obtainable firearms” that could be used in a jihadist attack. The good news is that in order for urban-warfare-style attacks to be really effective, they require multiple participants and some amount of coordination. That means they’re easier to catch before they happen. “It requires plotters, not just a plotter, and Western intelligence services are better at stopping groups,” says Gartenstein-Ross. “Lone wolf” attacks, like those seen in Canada and Australia in recent weeks, are much harder to detect ahead of time but also usually less effective. Though as numerous non-jihadist American shooters have demonstrated in recent years, a lone gunman can also cause a frightening amount of damage under the right circumstances.